With the heavily anticipated installment of the God of War game series arriving on April 20, PlayStation has taken the opportunity to make its first foray into mobile augmented reality with a companion app. 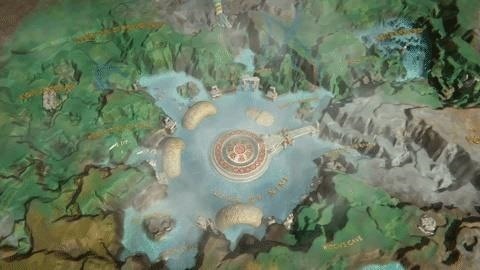 God of War: Mimir's Vision, available now for free on the App Store and Google Play, lets players with devices compatible with ARKit and ARCore, respectively, to project a 3D map of the game's world on their coffee tables. In a sense, players become gods looking down upon their kingdoms. 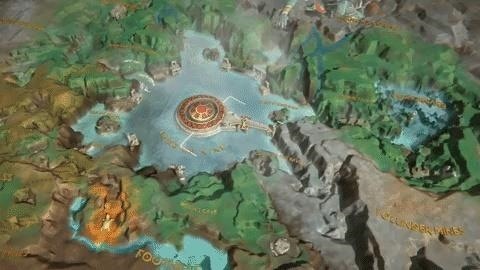 Once the virtual landscape, which probably owes a nod to the opening sequence of Game of Thrones, is placed in front of them, gamers can manipulate the model with on-screen gestures to zoom into the map or walk around the map and move the device for different vantage points. The app also includes photo and video controls built into the experience, making it easy to capture sections of the map and share with others. As users encounter points of interest, they can click on them to learn more about the location. 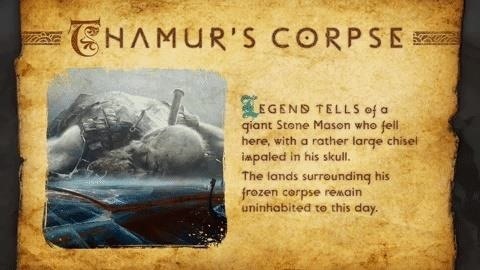 The geographic exposition is narrated by Mimir, the decapitated consigliere to the gods of Norse mythology, who evidently plays a similar role in the game. Some locations are accompanied by an animated mini-movie, while others include screenshots of the location from the game or related artwork. A number of areas display runes that players can click and illuminate. 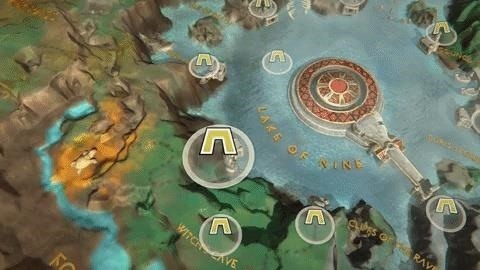 SPOILER ALERT: The app also includes a neat little Easter Egg regarding the runes. Find and light all of these tokens, and a serpent emerges from the Lake of Nine (that should give you a hint as to how many you need to identify). As companion mobile apps for console games have become fairly commonplace in recent years, adding AR to the mix promises to further enhance the utility of such experiences. Mobile AR games like The Machines have already demonstrated how useful an AR experience like this can be in navigating scaled-down terrain on a tabletop. For gamers, it's certainly more useful than, say, projecting virtual characters into space. Nevertheless, the console gaming ecosystem has certainly come a long way in thirty years, when players of games like Final Fantasy had to resort to guidebooks printed on paper to guide them through 16-bit lands.